Subliminal priming is the act of exposing a person to stimuli that they may not consciously notice, but are still processed subliminally in their mind. Psychological studies have shown that influence people's attitudes and behaviours. 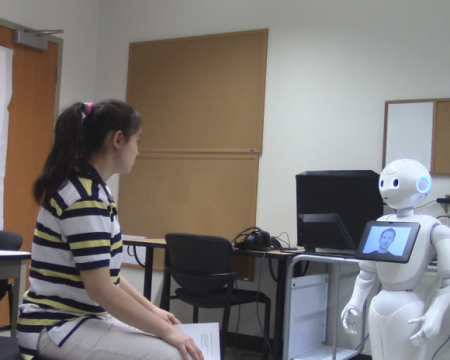 In this project, we investigate if interactive agents such as social robots can leverage subliminal priming (for example, by exposing a person to single-frame visuals in a video feed) to shape their mood and behaviour.